I call this composition 2 under the Crystal Tree. 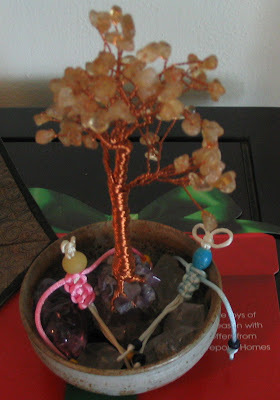 These two sweet old beadheads are chit chatting under a crystal tree. 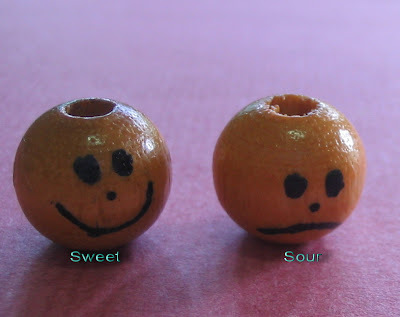 One said "I am just a SWEET old bead" "Well better than a FAKE one " retorted the other. Words of oriental wisdom ? No just Murikami-style conversation amongst beadheads. Hehehe !! Blue and yellow beadheads from China and Vietnam. Drawing on wood beads courtesy of S.